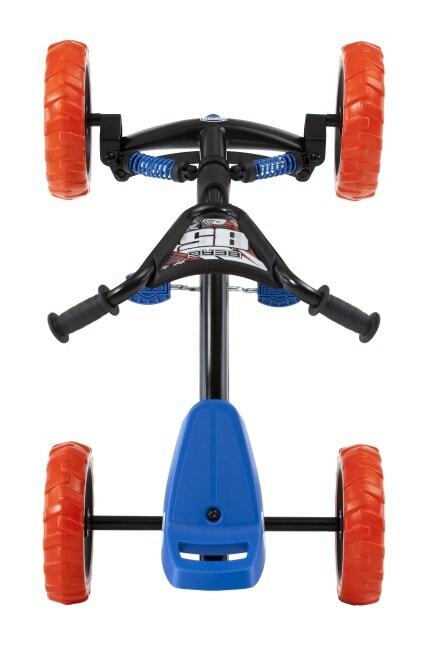 The Orange & Blue Nitro has a real off-road design with its sturdy springs to the front (none working). 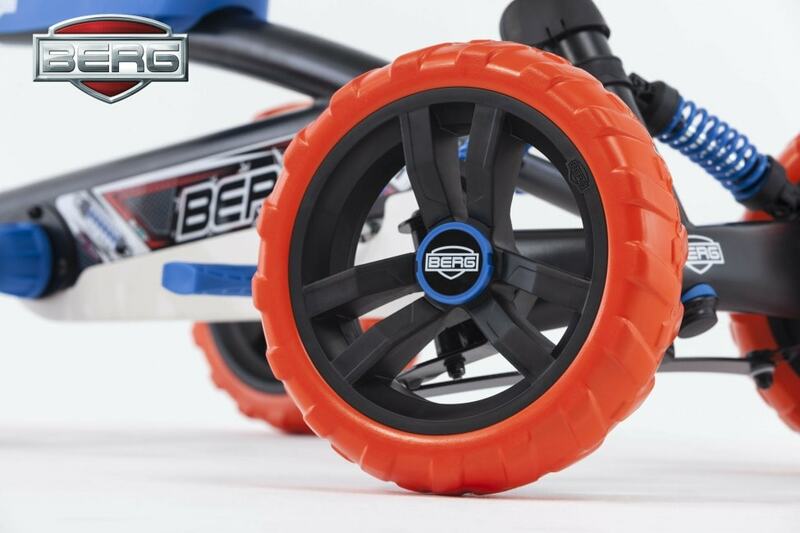 It has All-terrain whisper tires (EVA) to make it safe and stable it can also be used indoor and outdoor. 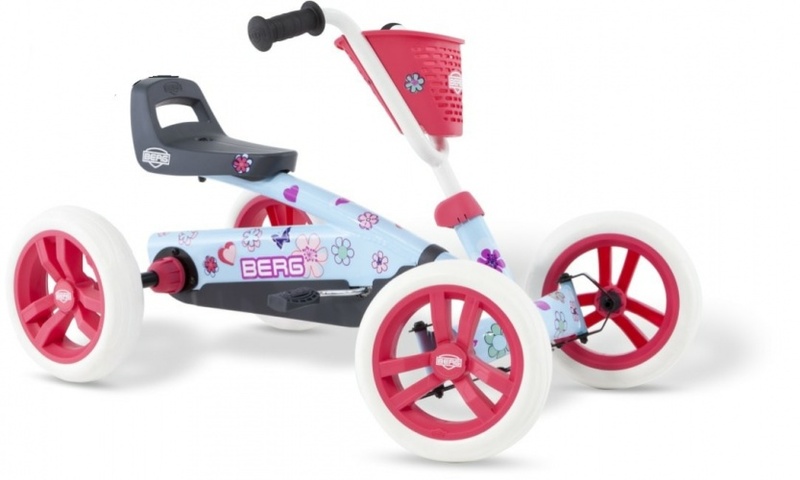 It will grow with the little driver thanks to the adjustable steering wheel and seat, it can be driven forwards and backwards and brought to a stop quickly. 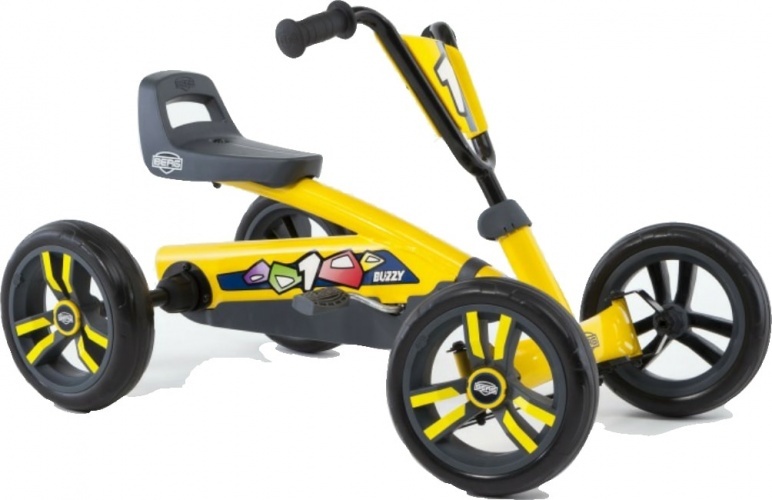 This is a fantastic go-kart for helping younger children learn to pedal. 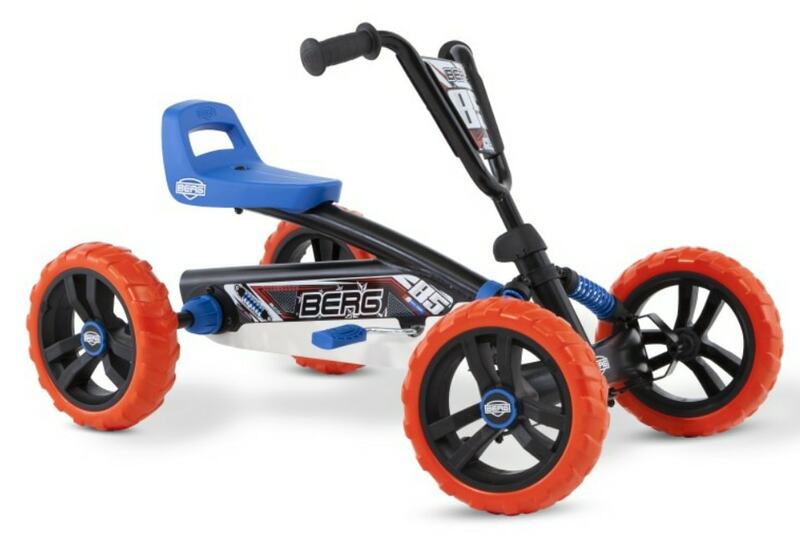 The Nitro Go-Kart is suitable for ages 2 - 5.